Botswana’s tourism has always focused on high-end luxury. 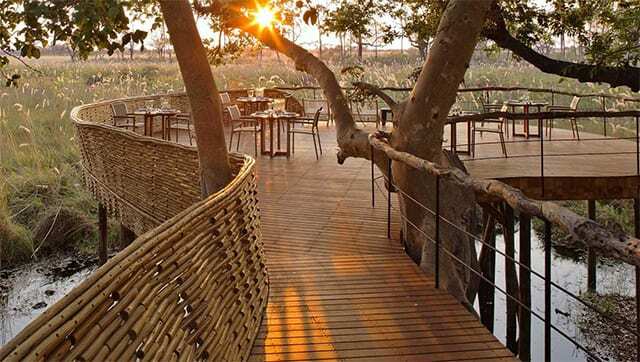 Whether you are staying in the rich natural habitats of the Okavango Delta, the vast, mysterious Makgadikgadi Pans or the wildlife-rich Chobe National Park, there are some exceptional safari lodges to experience in this country. 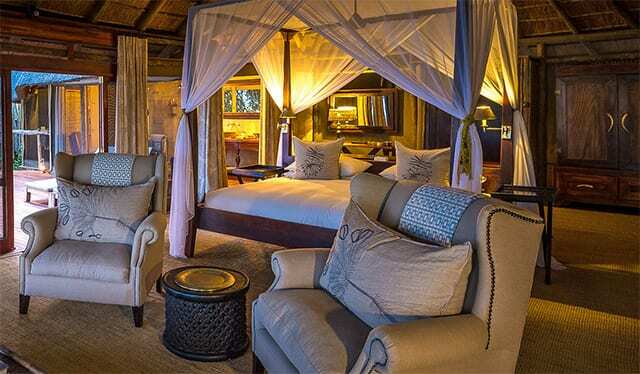 Here are our favorite luxury safari lodges in Botswana. One of the most luxurious properties in all of Botswana, Mombo Camp is located in the Okavango Delta on the wildlife rich Chief’s Island. The camp was built under large trees and centered to front a floodplain that is usually filled with animals. There are just nine super spacious en-suite tents that perfectly blend the gap between the great outdoors and the sanctuary of inside. 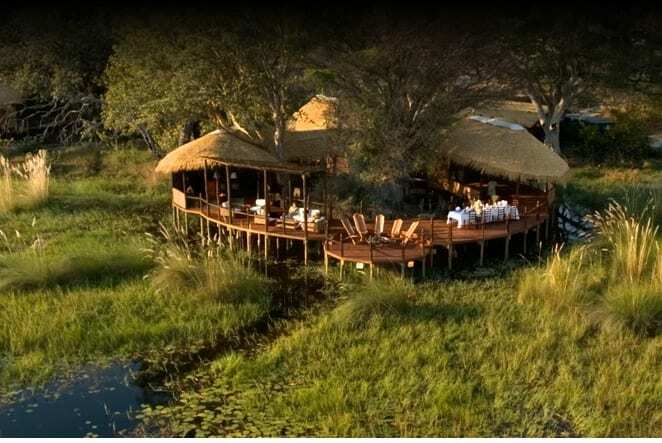 True high rollers will want to check out Mombo Camp’s sister next door, Little Mombo, which is even more intimate and exclusive and has its own dining and lounge area and a gorgeous pool in the heart of the amazing Okavango Delta. 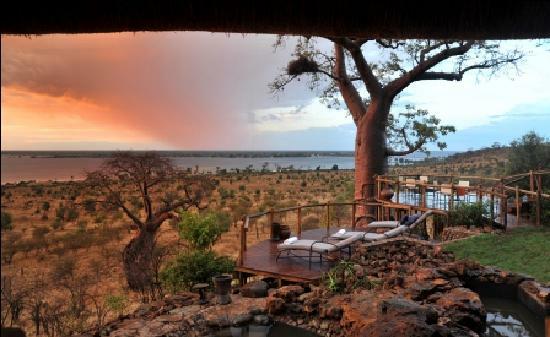 At the western edge of Chobe National Park, this remote eco-friendly camp has just eight chalets, each with a private plunge pool overlooking the Chobe River, that are perfect for honeymooners. Environs are a salute to blend-into-nature African modern luxury design with floor to ceiling glass windows and indoor and outdoor shower options. This is a petite camp hidden on a pretty island in the North Delta near the Moremi Game Reserve. It’s an intimate place with just six tented rooms and a plunge pool overlooking a water hole. 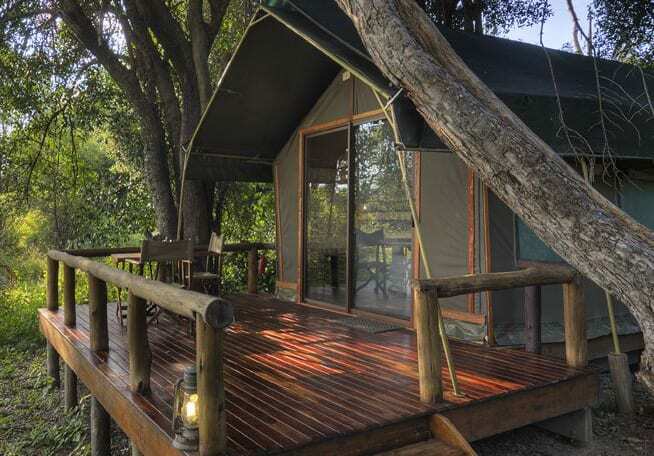 This camp is located in the Okavango Delta on Chief’s Island in the world famous Moremi Game Reserve. It has just 12 posh bush pavilions, which all feature private decks and indoor and outdoor showers. 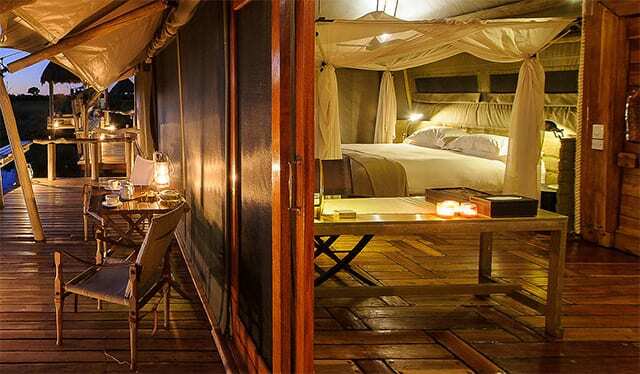 Abu Camp is tented safari camping at its more imaginative. It’s also very private with just six tents, each looking slightly different, but all feeling very opulent. 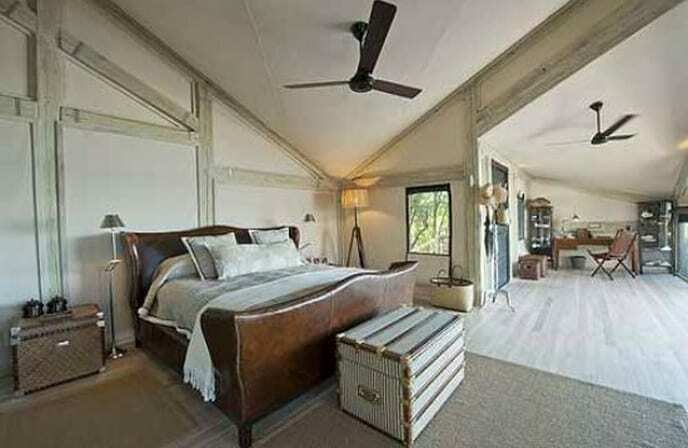 This is not glamping, but indoor/outdoor living at its finest. 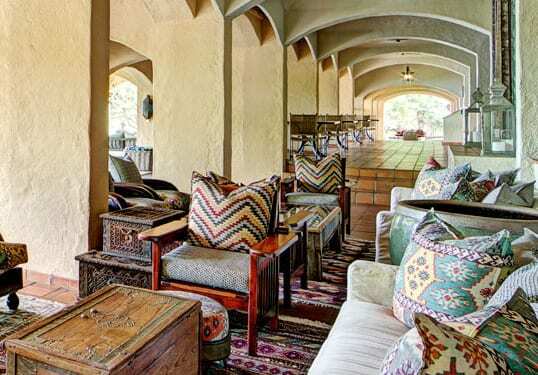 With Moorish architecture boasting high arches and vaulted ceilings, Chobe Game Lodge looks out on the Chobe River and has rooms featuring teak furnishings, original African paintings and carvings on the walls. Book one of the four luxury suites for a private pool experience. 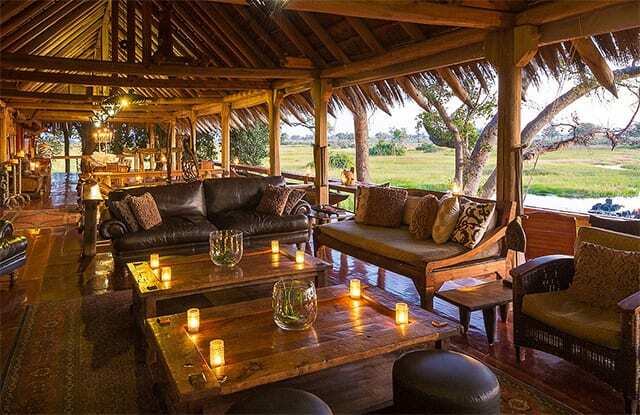 Run by Desert & Delta Safaris, Camp Okavango is a collection of 11 East African style safari tents that are individually decorated and positioned over raised teak platforms. 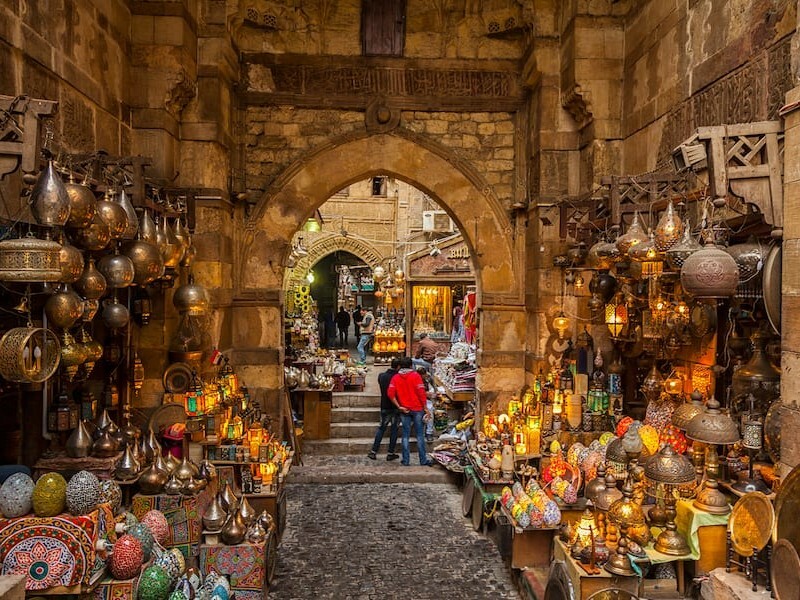 It’s a great spot for honeymooners. With just five luxury suites boasting star baths and sky beds, this is the ultimate Botswana honeymoon safari destination. You can also walk with elephants here. Recently renovated, this spectacularly designed lodge is on a private reserve in the Okavango Delta that is adjacent to Moremi. The property is set in a cool fig and palm forest setting and blends into the landscape seamlessly. 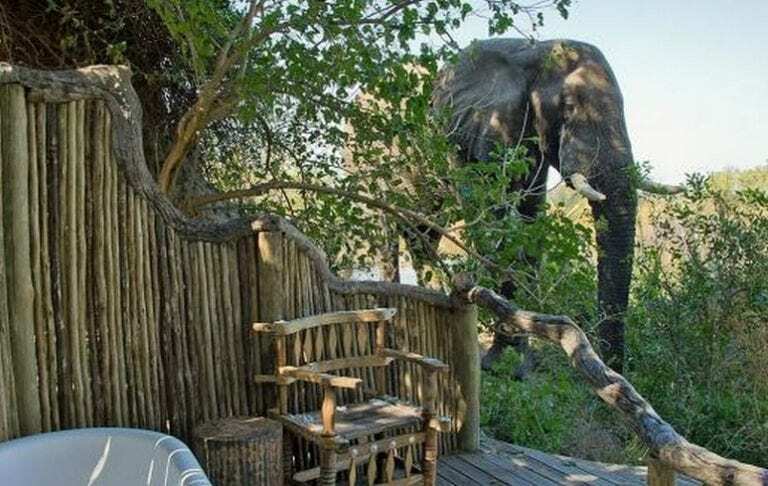 In a private concession in the Okavango Delta, Stanley’s offers a classic luxury safari tented camp experience and a chance to personally interact with resident elephants. 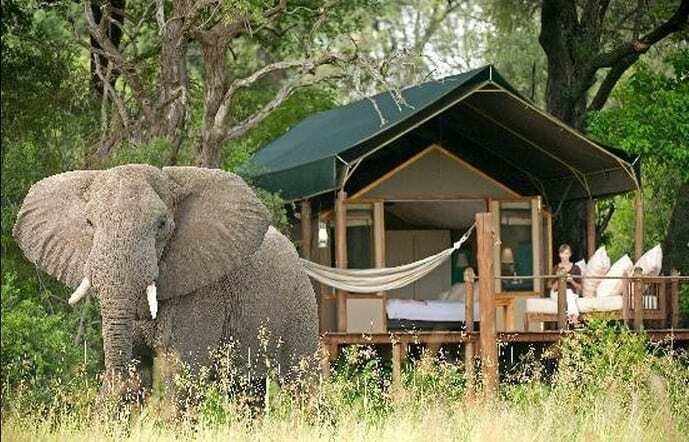 This camp run by luxury operator &Beyond features a secluded, posh campsite that is positioned as close as possible to some of the largest herds of elephant on the continent. The tents are beyond comfortable. 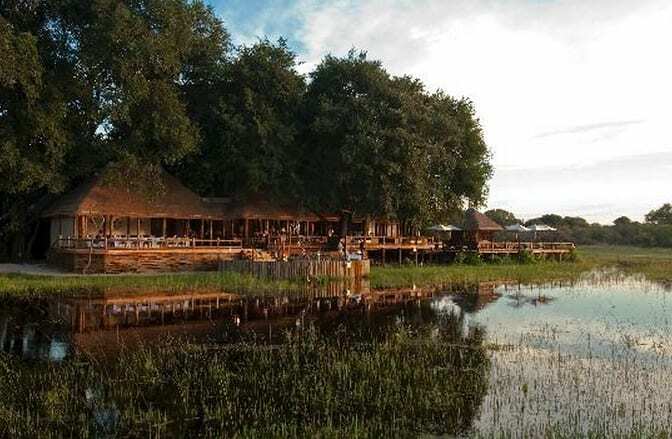 On a private concession adjacent to the Moremi Game Reserve in the heart of the Okavango Delta, Jao Camp is an intimate safari experience with just nine spacious tented camps. Each are handcrafted and boast fantastic views of the surrounding flood plains. This camp in Chobe is named after the Swedish royalty that once stayed here. The location is famed for its large herds of elephants that come in the dry season. Each of the nine exquisite tents have private plunge pools. 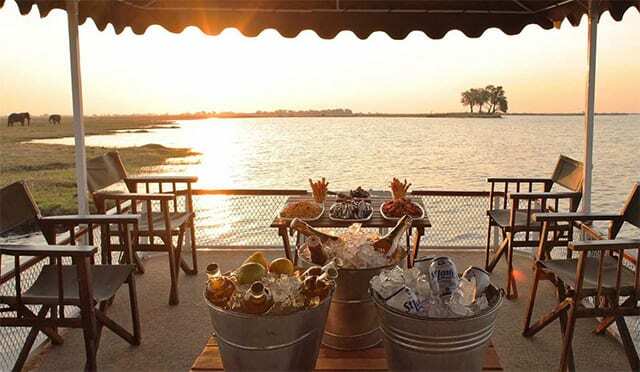 Nestled right on the Chobe River, the 15 posh cottages at this camp feature sunken baths along with a hammock and terrace. 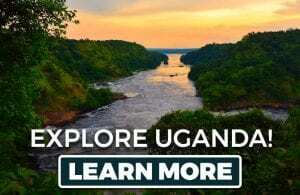 The food is also delicious and you can do wildlife cruises right on the river. Located at the edge of the awe-inspiring Makgadikgadi salt pan, Jack’s Camp features 10 roomy and stylish canvas tents designed in a classic 1940s safari style: en-suite bathrooms, Persian rugs, cool cotton sheets and indoor and outdoor showers. 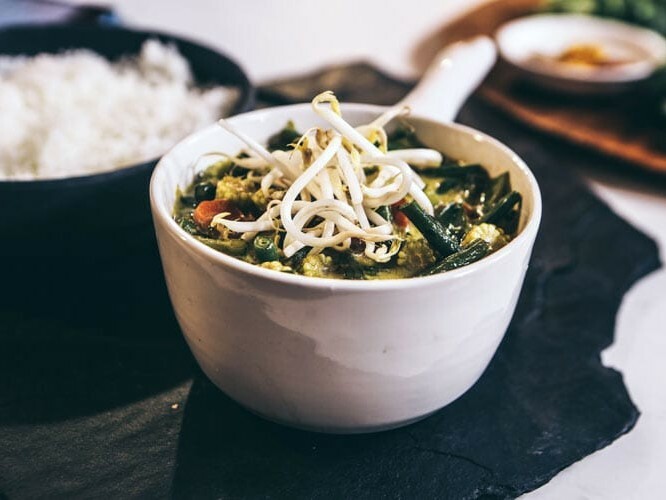 Set into a palm grove, the camp sits at the edge of the pan, where you can dine at dusk while contemplating the vast nothingness that stretches for hundreds of miles in all directions.